Today, Ellen is taking part in the blog tour for Hush Hush by Mel Sherratt and I’ll be sharing her review with you all a little further down! 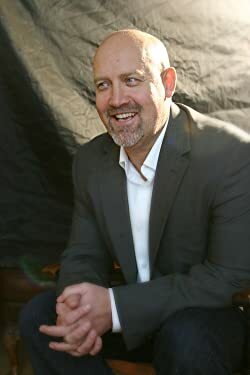 Mel Sherratt is the author of ten novels, all of which have become bestsellers. In 2017, she was named as one of her home town of Stoke-on-Trent’s top 100 influential people. She lives in Stoke-on-Trent, Staffordshire, with her husband and terrier, Dexter. I have a confession to make….this is the first thriller type book that I have read by Mel Sherratt! Previously I have been a massive fan of her sparkly alter ego Marcie Steele’s books so I was a little nervous of reading a switch in genre from the same author. Well, there was no need for nerves as Hush Hush blew my little sparkly socks off. I’m not averse to crime/thrillers/grit lit so loved all the elements of this novel which mixed together perfectly. DS Grace Allendale returns to her home town and is immediately recruited on to a gruesome murder case, the only fly in the ointment is that her estranged family are involved. Is blood thicker than water? Where do Grace’s loyalties lie; with her new team or the family who suffered under the brutality of the same father (George Steele)? As much as Grace has grown up apart from her half-brothers and sister you do wonder if her head will be turned and having an insider on the force certainly appeals to the Steele brothers who have taken over the criminal side of their father’s legacy. The murders are particularly vicious and the thought that they are committed in places where the victims would consider themselves safe gave me the shivers. I was definitely checking over my shoulder when I was out and about in public! I do love a gruesome death scene and Hush Hush definitely delivered. There are some characters in Hush Hush from the previous Allie Shenton trilogy but enough detail was given about them that I could keep up and in fact it made me want to bump up these books on my TBR. Mel Sherratt writes excellent female protagonists and I want to get to know them all! The men aren’t always the driving force and we see this in all the strong women in Hush Hush; Grace, her mother, Allie and her estranged sister. None of them are willing to bow down to the men in their lives and in some cases they have been irrevocably damaged mentally and/or physically. I loved Hush Hush and can’t wait for Tick Tock the next book in the series which is due April 2019! Today s Ellen’s stop on the blog tour for The Hangman’s Hold by Michael Wood and I’ll be sharing her review with you all a little further down. 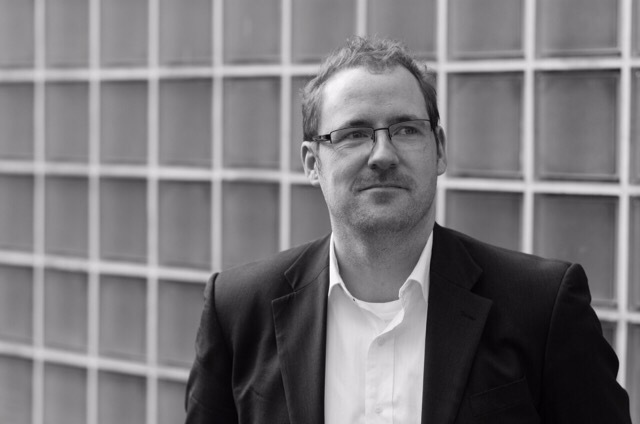 Michael is a freelance journalist and proofreader living in Sheffield. As a journalist he has covered many crime stories throughout Sheffield, gaining first-hand knowledge of police procedure. He also reviews books for CrimeSquad, a website dedicated to crime fiction. 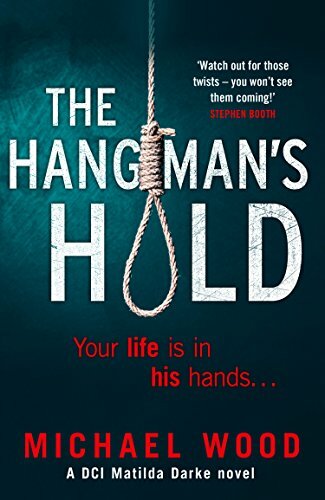 Having loved the three previous novels in the DCI Matilda Darke series by Michael Wood and being an ardent #TeamDarke member I couldn’t wait to get stuck into book four, The Hangman’s Hold. This book could be read as a standalone but personally I’d recommend you read them all – why deny yourself the pleasure of getting to know Matilda and her team? Michael Wood has gone really dark in The Hangman’s Hold and poor Matilda’s fragile mental strength is certainly pushed to its limits. There is a serial killer who appears to be carrying out murders in the manner of a vigilante, unhappy with how the victims have seemingly got away with crimes they decide to deal with them in the old fashioned way of hanging. Matilda and her team are being pushed from every angle, superiors, the press and even the killer, and it’s clear that not everyone disagrees with the killer’s reasoning. Matilda struggles to keep her team focused at times and it was upsetting to see cracks in what has always been a great working relationship between them all. It was interesting to see a possible love interest on the scene for Matilda, I’d like to think she deserves a little dose of happiness (especially after the events in The Hangman’s Hold). I love the friendship element that has run through this series and watching the team grow closer and probably heavier after indulging in Sian’s treat drawer! There are some truly horrific scenes in this book, it’s definitely not for the faint hearted! My heart rate must have been through the roof at certain points and just when you think you can’t take anymore…BAM..another gut punch of a reveal. Speaking of reveals there’s an absolute humdinger but I’ll let you discover that for yourself…..
All the stars for The Hangman’s Hold and bring on book five!! Today is Ellen’s stop on the blog tour for The Forgotten by Casey Kelleher and I’ll be sharing her review with you all a little further down! Nancy Byrne might be the head of the notorious Byrne crime family, but she’s determined to give her little daughter, Scarlett, the best start possible. After the death of her beloved father, the notorious gangster Jimmy Byrne, nothing’s stopping Nancy from making money on her own terms – even if she has to combine motherhood with providing for her entire family. But with enemies at their door, she’ll do whatever it takes to protect her loved ones. But then comes the day when Scarlett goes missing, snatched by a stranger during a trip to the local park, and Nancy’s world is torn apart. Amidst the terror of losing her precious daughter, Nancy is sure of only two things. Someone has taken her daughter … and when she finds them, there’s going to be hell to pay. Can she find Scarlett – before it’s too late? Or will Nancy’s life of crime come back to haunt her in the worst way possible? A gritty and hard-hitting thriller packed with shocking twists… Fans of Martina Cole and Kimberly Chambers won’t be able to put this down. 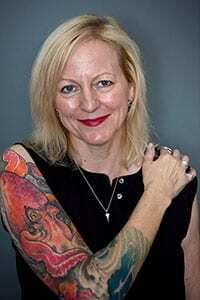 Born in Cuckfield, West Sussex, Casey Kelleher grew up as an avid reader and a huge fan of author Martina Cole. 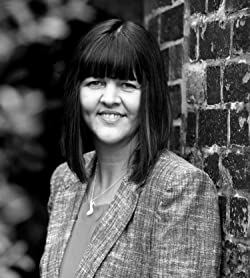 Whilst working as a beauty therapist and bringing up her three children together with her husband, Casey penned her debut novel Rotten to the Core. Its success meant that she could give up her day job and concentrate on writing full time. She has since published Rise and Fall, Heartless, Bad Blood, The Taken, The Promise, The Betrayed, The Broken and her latest release The Forgotten is due for publication on the 7th August 2018. The Forgotten is the final book in the Byrne Family trilogy (The Betrayed and The Broken being book #1 and #2) and as much as I’ve been desperate to read it there is also a pang of regret. This is the end of the road for this series and I’ve really enjoyed being on the journey from the beginning. I highly recommend reading all three to immerse yourself in the dark underworld of The Byrnes! I’ve always maintained that I’m not a fan of gangland books but Casey Kelleher forced me to make a 360 on this decision and in my opinion she is the Queen of this genre. I loved reuniting with all the familiar faces and meeting some new characters – look out for a particularly dedicated nurse (she needs her own series!). A fantastic conclusion to the trilogy. I’m going to miss The Byrnes but can’t wait to see what’s next from Casey Kelleher. Today is my stop on the blog tour for Unrest by Jesper Stein and I’ll be sharing an extract with you all a little further down! of the most talented authors of crime fiction in Scandinavia. clashes between the police and far-left autonomists protesting the closure of the Youth House. lord, the consequences turn out to be greater than expected… especially for Axel himself. While they were speaking, Axel looked over at the dead man. He was slight and appeared to be dark-haired, with a narrow face and wide open, empty brown eyes. Axel took a few steps closer. The custom was to wait for the forensics team, let them do their work and afterwards hold a preliminary post-mortem with a forensic pathologist, but Axel always tried to read the crime scene right away. The first unconscious impression could be invaluable later. There were traces of blood on the body’s lips; not red, closer to black, the colour blood goes when oxygen has been working on it for a short time. The tongue was sticking out between them, thick and purple, as often seen in victims of strangling. The earth around the body was heavy and black, with no grass. There were bottle tops, broken glass, a chipped cobblestone, wet branches and a pizza box between the white snowdrops. No particular signs of a fight, but on the wall about three feet above his head there were traces of a dried liquid, most likely blood. Maybe he had been killed right here? Axel thought it through: was it one of the autonomists who, during the street fighting, had got into a scuffle with some officers, who had then overreacted? At the police academy in recent years, much hadbeen done to ensure the mental health of the corps, but it didn’t change the fact that many policemen hated the demonstrators in Nørrebro and their occasionally life-threatening actions. There weren’t many who, like Axel, could remember as far back as May 18, 1993, when the police had found themselves forced to shoot at a group of demonstrators who were on the verge of killing them withcobblestones – but there were enough confrontations nowadays for the hatred to are up again. He had to swiftly get an overview of which police officers had been on guard duty in the cemetery. And if it turned out that they had nothing to do with the murder, who could have killed him and, moreover, dumped him in a place that was swarming with cops, while the rest of the city had been vacuumed clean of police? Axel walked up to the wall and looked behind the dead man’s back. His hands were bound with something that looked like strips – the modern plastic handcuffs that the police used. They had been pulled really tight and seemed to have cut into the skin on his wrist. He was wearing a pair of black military boots, black canvas trousers, a brown sweater and a black windcheater. He didn’t look like a typical autonomist. Axel went over to him and bent down. The smell of death was mixed with the stench of urine. It could have been people who had pissed up against the wall, but it was more likely the victim who had wet himself during the treatment he had been subjected to. Axel carefully put his hand into the inside pocket of the jacket and shed around for a wallet or something else that could reveal who he was. He called the divisional commander over. He got an ice-cold, indignant look from his colleague. Today I’m taking part in the blog tour for Blood Tears by Michael J Malone and I’ll be sharing a Q&A with you all a little further down! Michael J. Malone was born and brought up in the heart of Burns’ country, just a stone’s throw from the great man’s cottage in Ayr. Well, a stone thrown by a catapult, maybe. The first in a series of books with D.I. Ray McBain – a Glasgow detective who turns to his best friend, Kenny O’Neill when he goes on the run after he becomes the prime suspect in a grisly murder. An old man is found murdered in his Glasgow flat. DI Ray McBain is called to the scene and is the first to notice that the man’s wounds mirror the Stigmata. The police quickly discover that the victim is a former janitor who worked in several care homes where he abused his charges. Is someone taking revenge thirty years after the fact? McBain, as a child was a resident of Bethlehem House, a Catholic run care home where the murdered man worked and early on in the investigation, McBain decides to hide a crucial bit of evidence relating to his stay in the convent orphanage. When his superiors find out, McBain becomes the prime suspect in the case and has to make a decision which will leave him on the run and alone, trying to solve the murders and, at the same time, the puzzle of his past – a past that is pushing into the present with a recurring suffocating dream of blood and feathers that descends on him every night. First we do the introductions and get some gratuitous plugs in. Would you like to introduce yourself and draw our attention to the Michael J Malone books which we should be reading? I started to take my writing seriously around 1996 – after I found myself saying that once I retired I would write a novel. Then I asked myself: why wait? I discovered my local writing club. Met lots of amazing, generous people – learned lots and put in lots of practise – and it took a few years to get published. My poetry took on more quickly and within 2 or 3 years I was regularly getting poems published. The novels were a different story, and it took until 2012 for my first novel to be released. As to which MJM books people should be reading? All of ‘em, thank you please very much. The book I would like to focus on today is Blood Tears which was first published in 2012 – so why have we singled this book out to chat about today? My publisher for this book (and the follow-up) Five Leaves – to whom I will be eternally grateful to taking a chance on me – are concentrating on their other business (a bookshop) so it felt like this was the time for me to take the right back – and re-publish. For readers who may not have met Ray McBain before could you introduce your leading man and give us an indication as to what type of guy he is. He’s abrasive, loyal, committed to the job, doesn’t suffer fools, haunted by his past, has an unhealthy attitude to food – there’s a lot to him which makes it a real pleasure to write. When Blood Tears was a work in progress was there already a plan in place to bring him back for further outings? I can barely think beyond the next page that I’m writing so I rarely have a big plan in mind. I just concentrate on the book I’m writing. So, no, I had no idea that this character had “legs” when I started writing him. I have heard more than one author say that once they publish a book they have gone through it so many times that they never want to read it again…how does it feel to return to Blood Tears after all this time? There’s been enough distance – 6 years – since I went through that part of the process. A period during which I have published another 8 books, so there’s enough literary water gone under the bridge – if you excuse the strangled metaphor. To go back after all this time, was – how shall I put it – interesting? I’m not sure how to characterise it. I’m not one for self-analysis when it comes to my writing. I’ll leave the critique to others. Friends tell me they can see that I’ve matured as a writer, which I appreciate, but I’m unable to make that judgement. But I can see Blood Tears has a raw feel to it. Not sure if that has answered your question. Do you have any urge to tinker with the story for this re-release? I did. But I resisted. It felt dishonest to do so. When it was first released it sold a good few copies and to change it in any way felt like I was cheating those early readers who supported me. Has self-publishing Blood Tears presented some new challenges? Are you having to perform roles which previously were dealt with by someone else? Yes, absolutely. Sourcing a cover. Formatting the script for the various e-book outlets – I’m a technophobe so a good friend of mine (thanks, Martie) was a massive help. And now that the book has been re-released I need to help people discover it and that’s where marketing comes in. Do you have any other manuscripts lurking on a hard-drive somewhere which you may consider self- publishing? The VERY first book I wrote hasn’t been published – and the story in there deserves an audience and I’m hoping my publisher will help me whip it in to shape. So the answer is no, but I have a number of poems that could be released in a collection when I get the time.